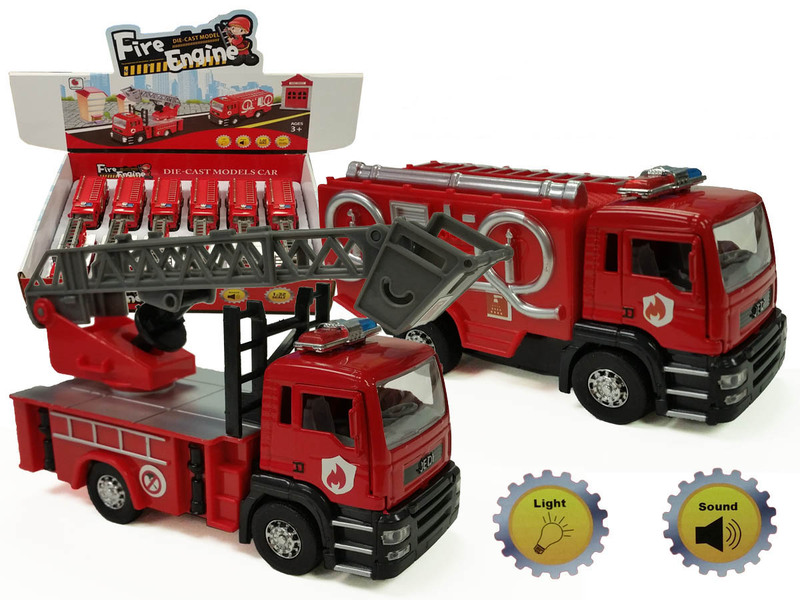 FIRE ENGINE WITH SOUND & LIGHT - Sailing (U.S.) International Corp.
BF-031 - Fire Engine with sound and light. diecast collectible model car. This fire engine has sound and light is about 6" long die cast metal car with pullback motor action. 12 pcs per display box. 48 pcs per inner box.